Sheriff Sam and Little Chief are coming to town in this delightful western adventure. 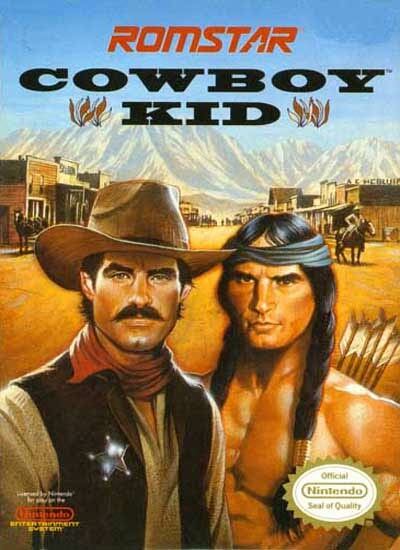 Cowboy Kid is a two player simultaneous action adventure for the entire family. 4 Megs of action packed into this NES cartridge. Be appointed sheriff so they can rid the west of the scourge of evil. Can you bring these dudes to justice? Beware rustlers, there's a new sheriff in town!